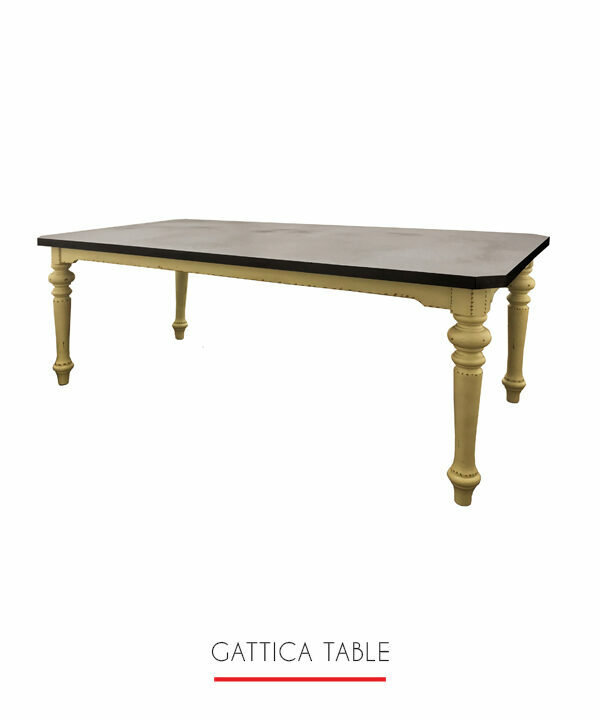 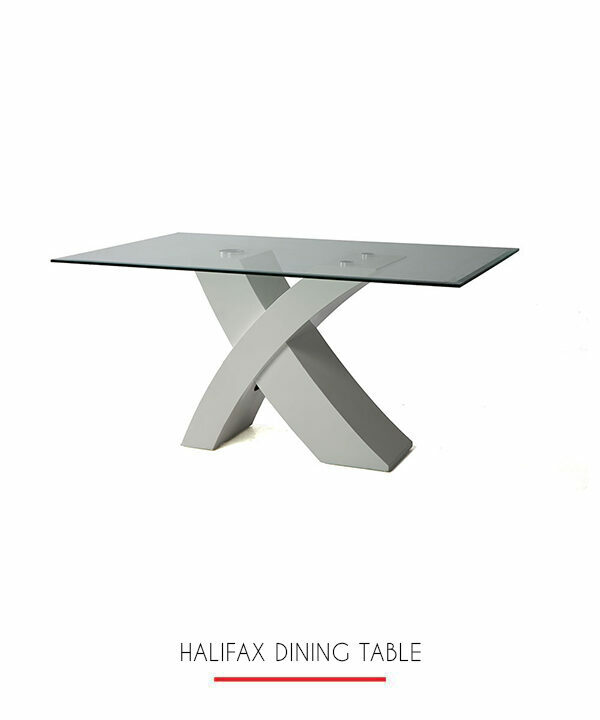 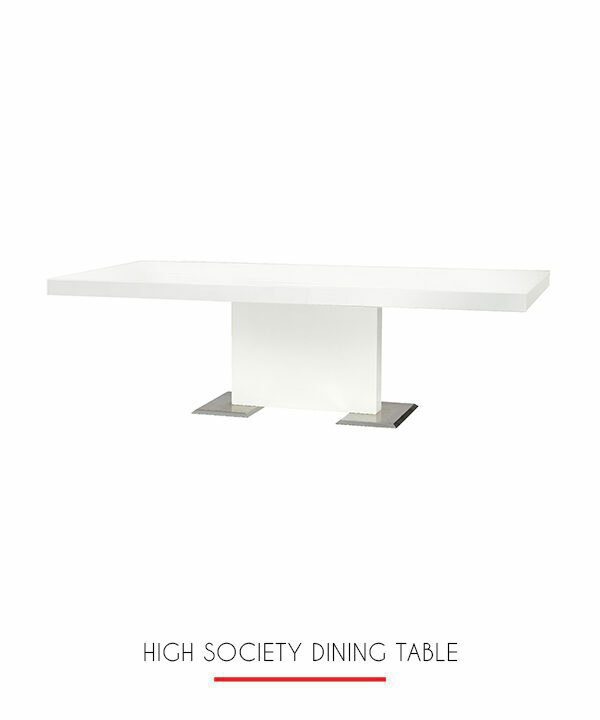 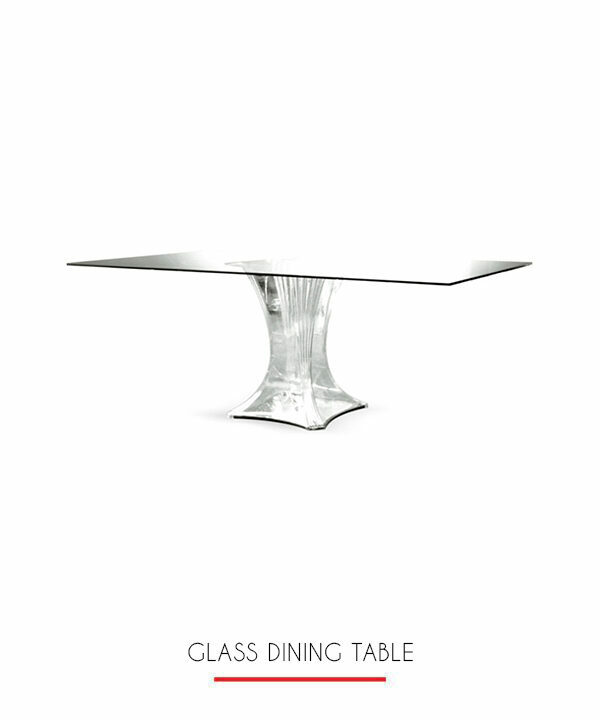 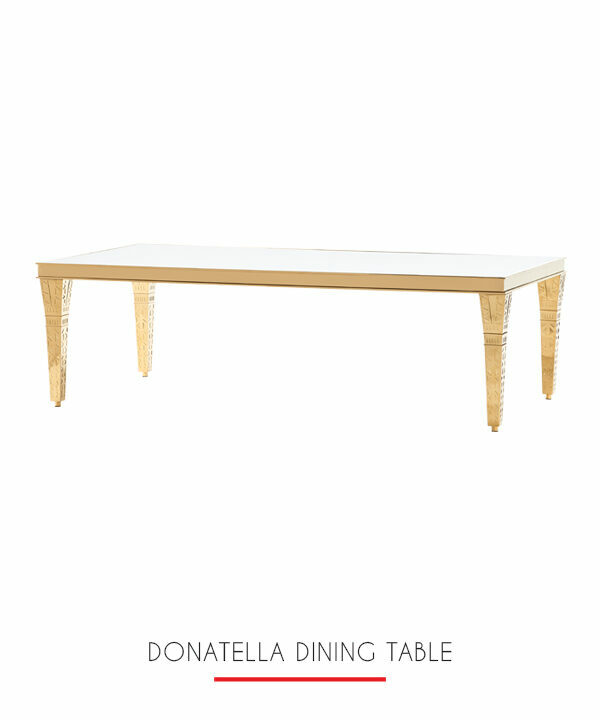 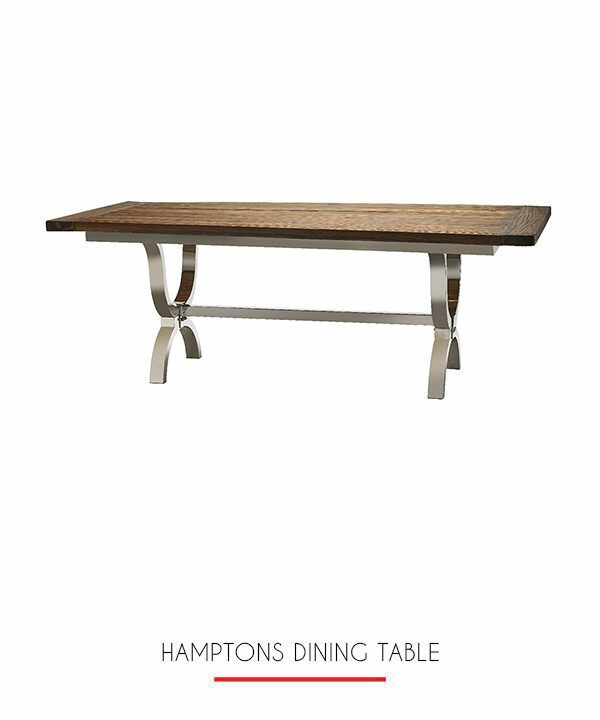 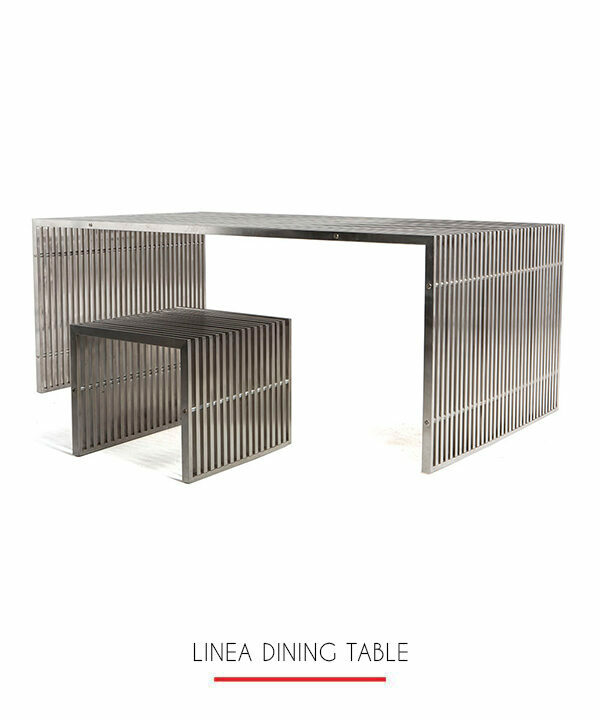 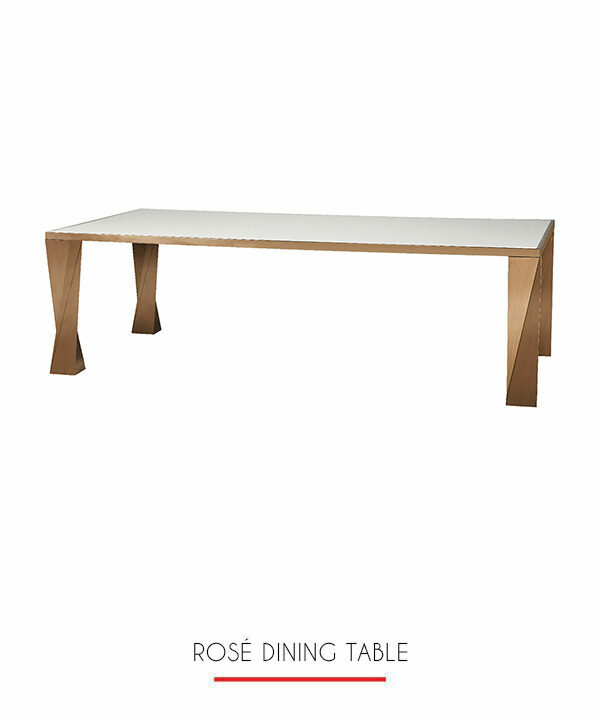 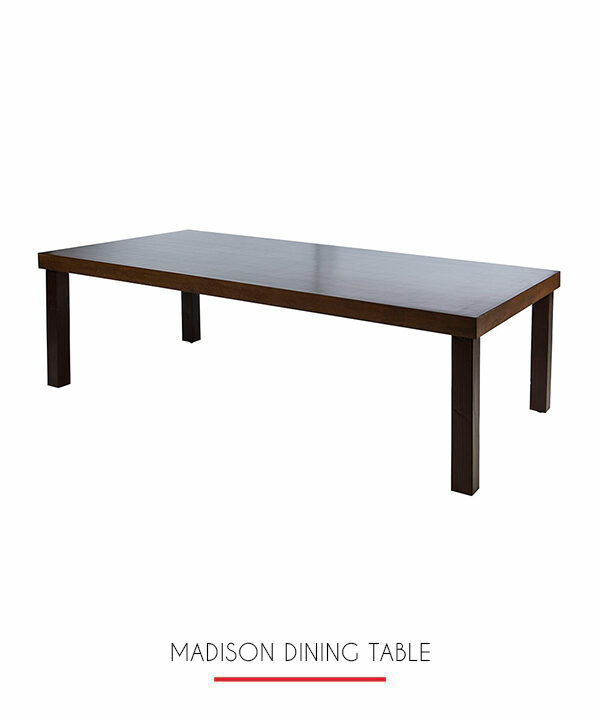 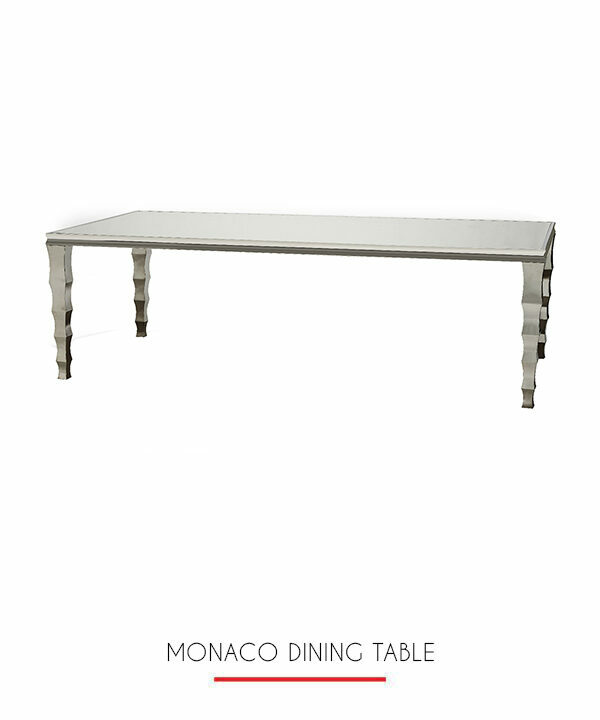 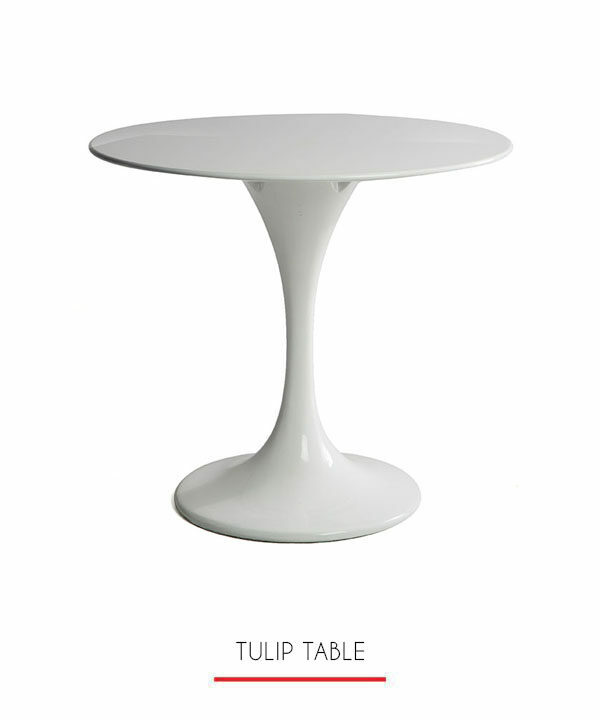 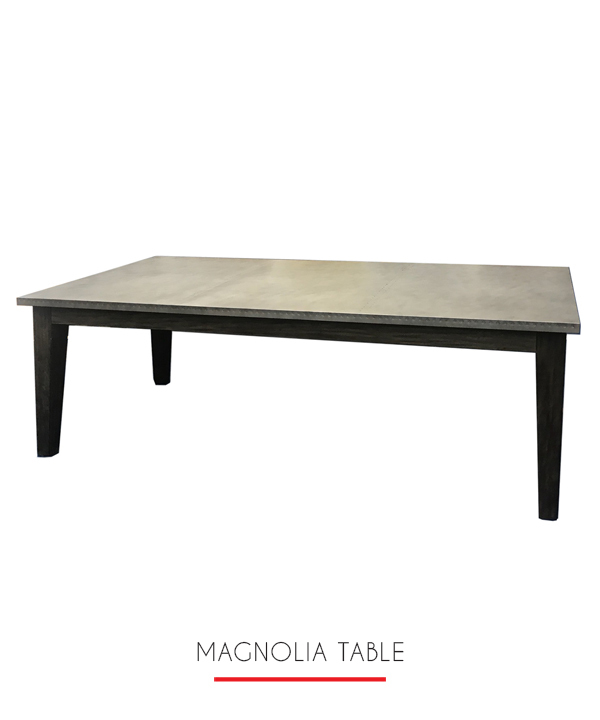 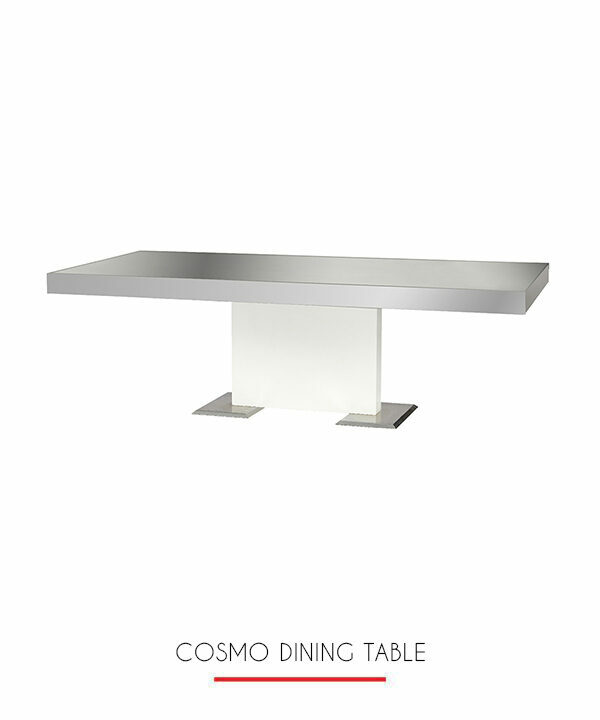 The Magnolia Dining Table has a contemporary, sleek style. 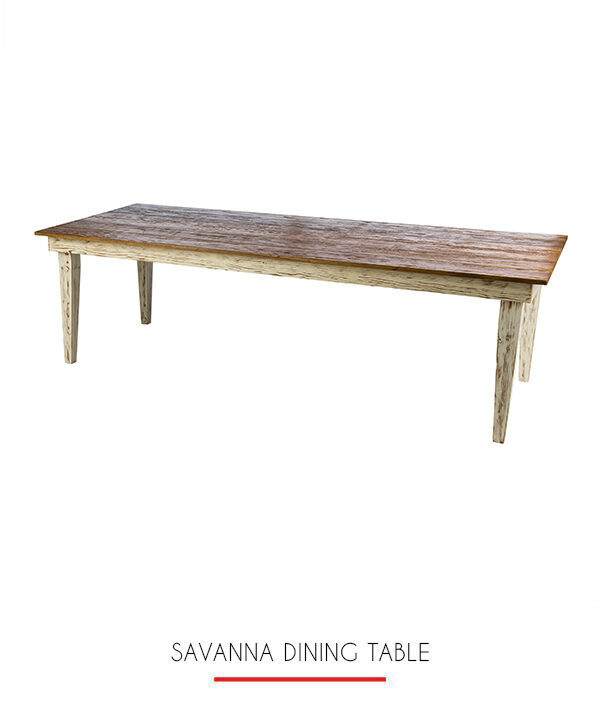 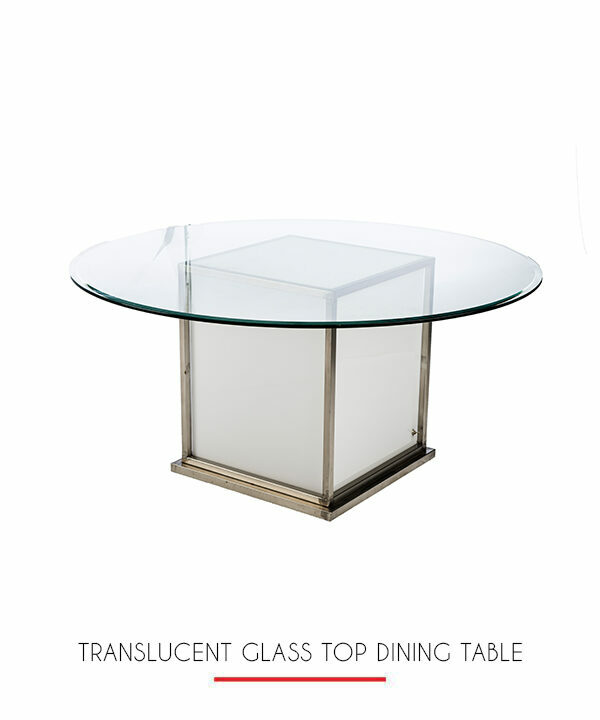 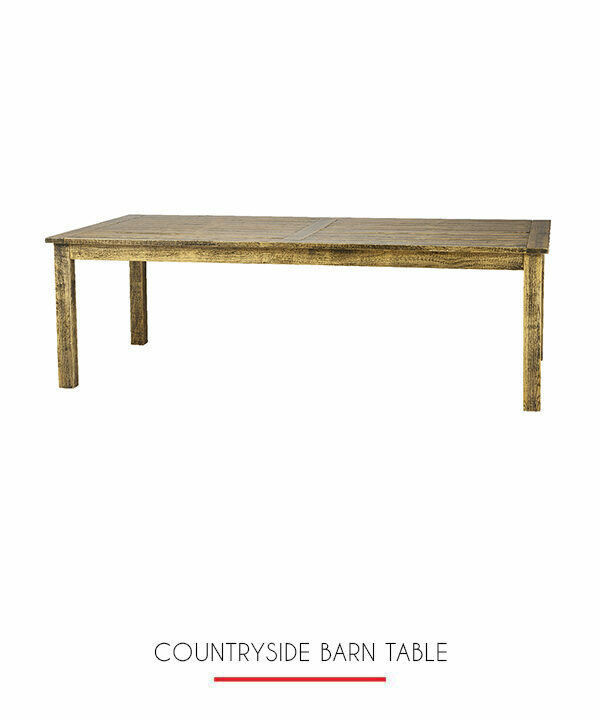 The top is distressed metal with ebony wood legs. 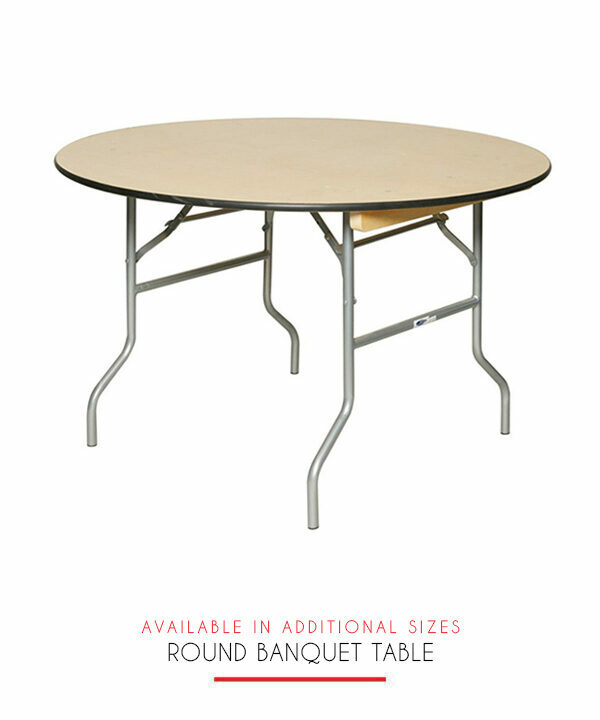 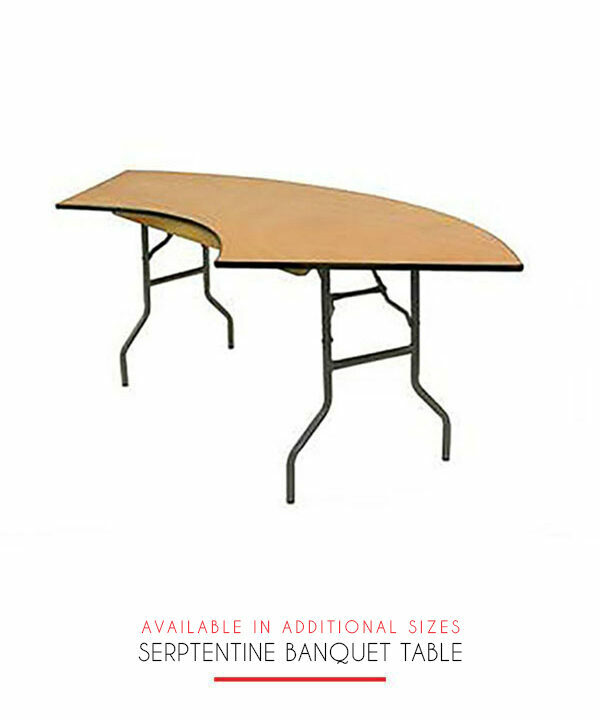 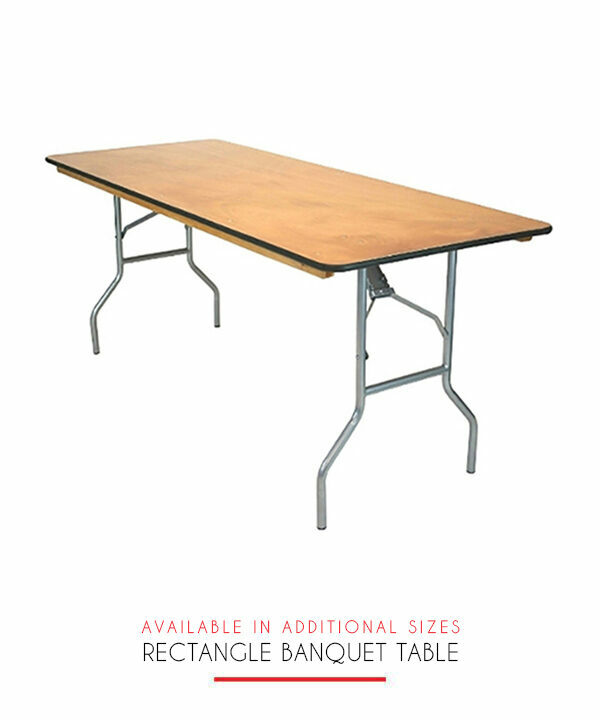 It comfortably seats 6-8 people and adds style to any event or party.